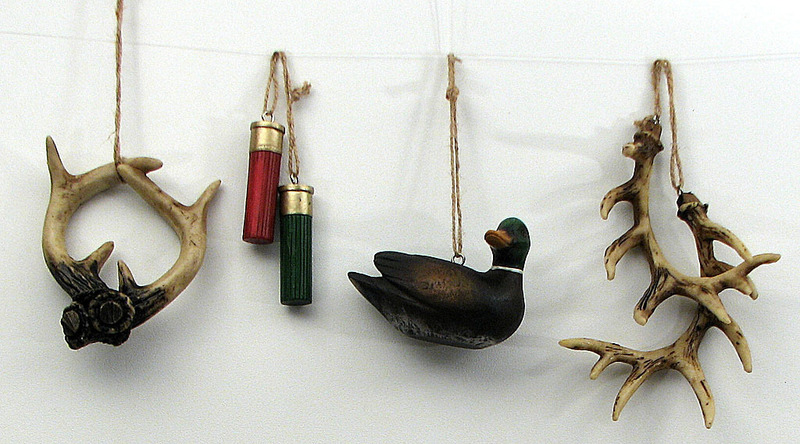 Set of 4 hunting RESIN ornaments one each duck, deer antlers, moose antlers and shotgun shell. Great addition to your tree for the hunter enthusiest or use for other decoration around the home or office. Measurements range from 2.5"H x .5"W for each shell up to 4.5"H x 3.5"W for the Moose horn.